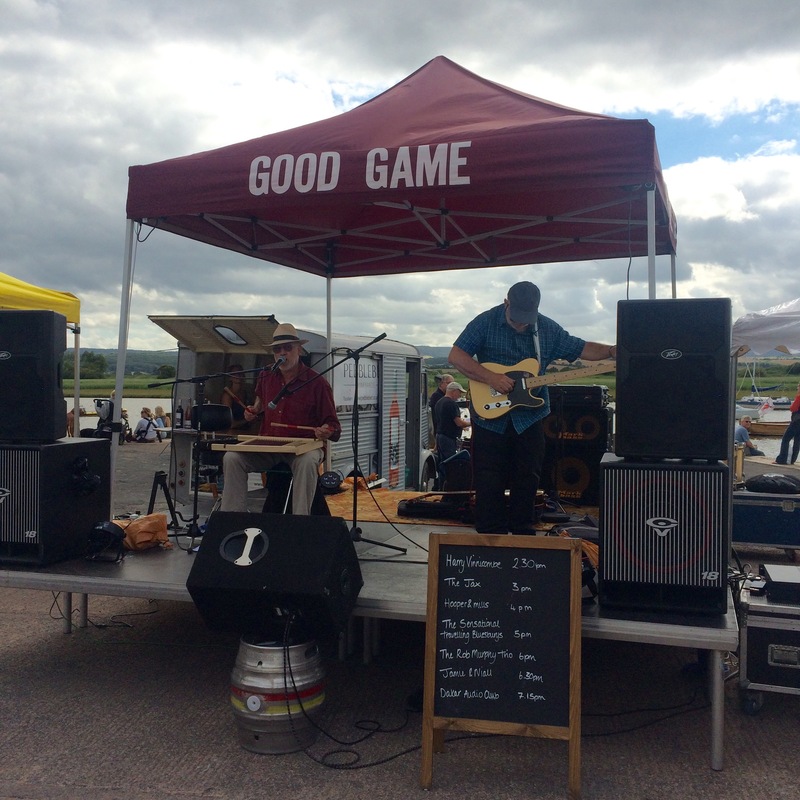 Saturday afternoon saw Steve and I travel to Topsham by train. It was a little treat for breaking up from my ballet classes for the summer. It had been a crazy rush as I had finished my classes at 1.15pm and the train was at 2.20pm but we made it ( just! ) I had managed to get home, shower and get ready in that time.. I was pretty amazed with myself!! 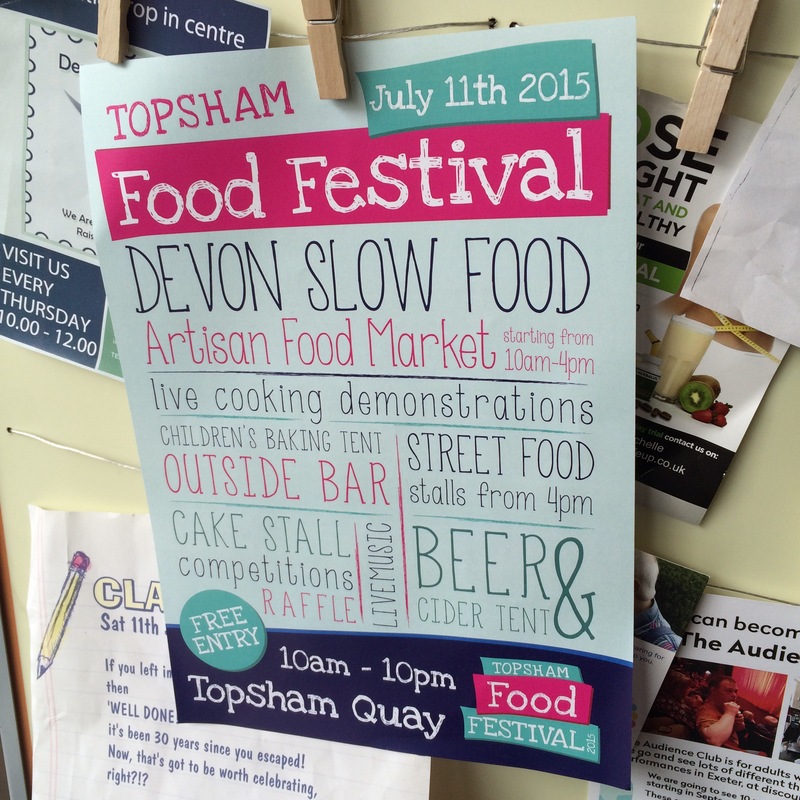 After a short walk from the train station we arrived at the festival which was set up on Topsham quay. It was a pretty small affair but done well. 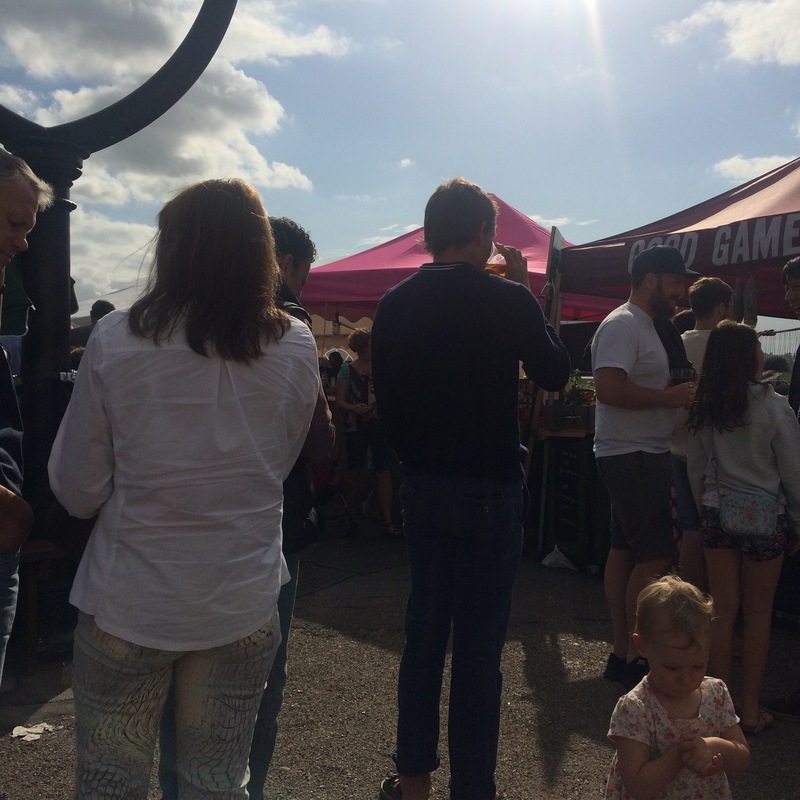 Lots of local foodies having a lovely time in the sunshine eating and drinking lots of local produce. Steve and I walked around the stalls first of all to survey what was available before we settled on a picnic bench in full view of the stage so we could listen and watch the bands whilst munching down on some local goodies! What a wonderful van.. Such a great idea for a mobile wine shop! We decided on sampling some locally produced drinks first to wet our appetites. 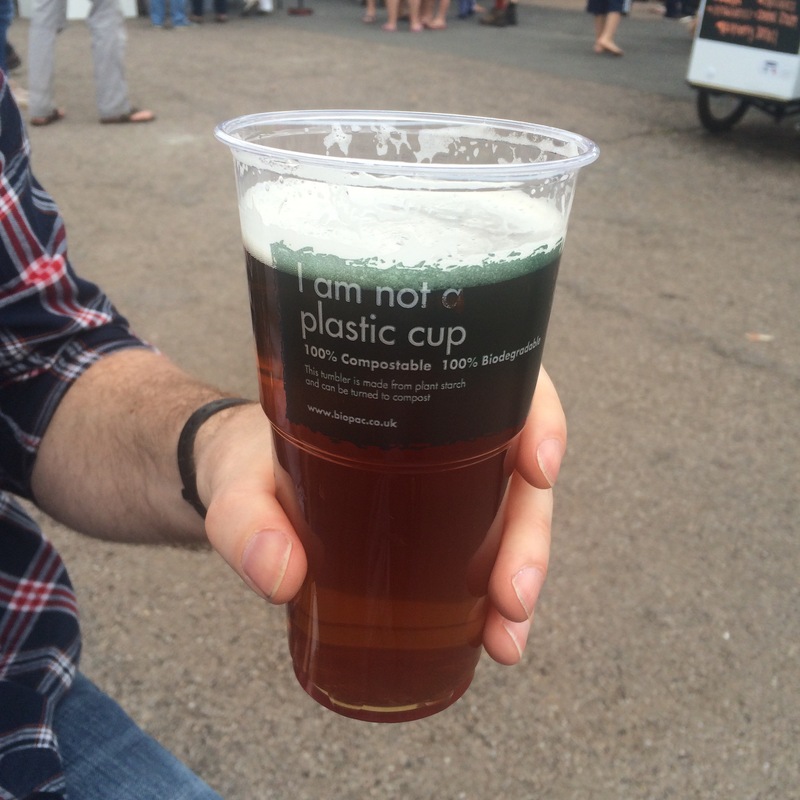 I plumped for a glass of Pebblebed white and Steve had a Topsham Ales ale. Both drinks are produced locally. 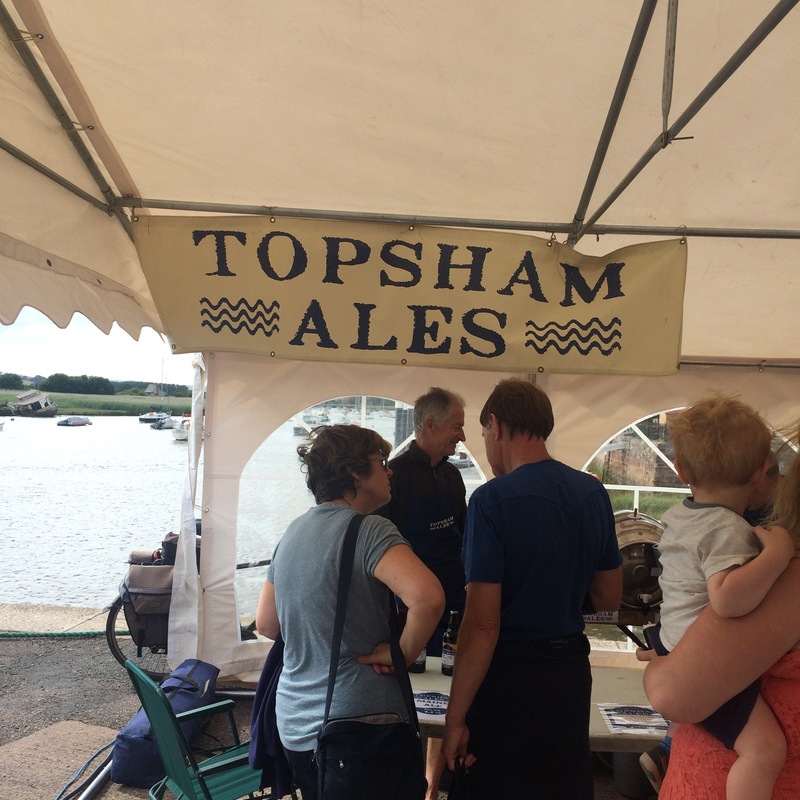 The Topsham Ales are produced just behind the Globe pub on Topshams main road … About 200 meters from where we were sitting! You can’t get any more local than that really! My wine from Pebblebed again is extremely local. The vineyards are within walking distance from Topsham in Clyst St George. 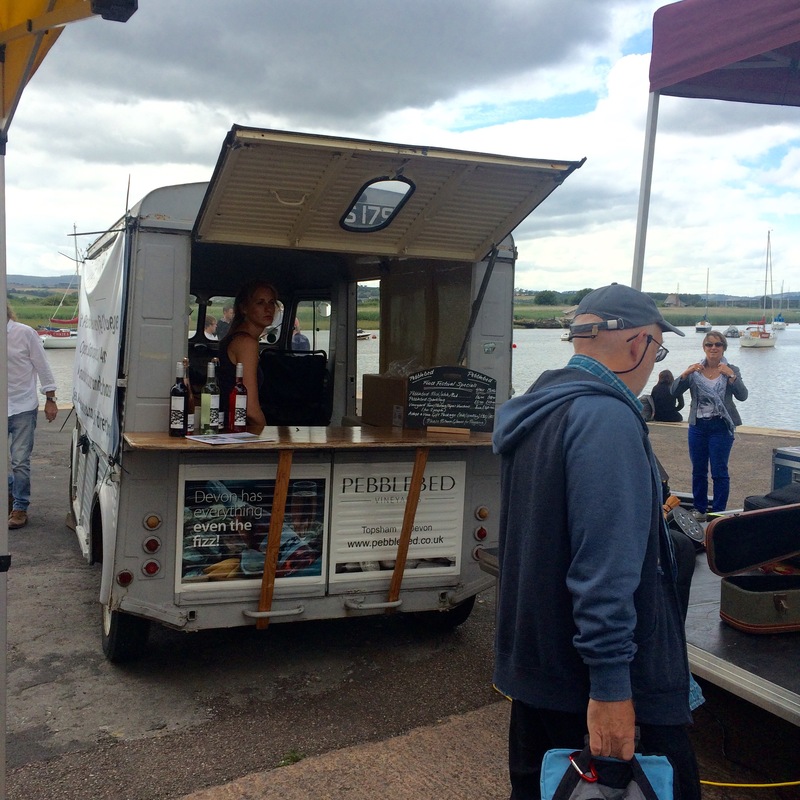 I have enjoyed Pebblebed wines on a number of occasions so I was glad that they had their ‘wine van’ there! After a sip of our drinks we decided to get something to nibble on so I sent Steve off to find something tasty! 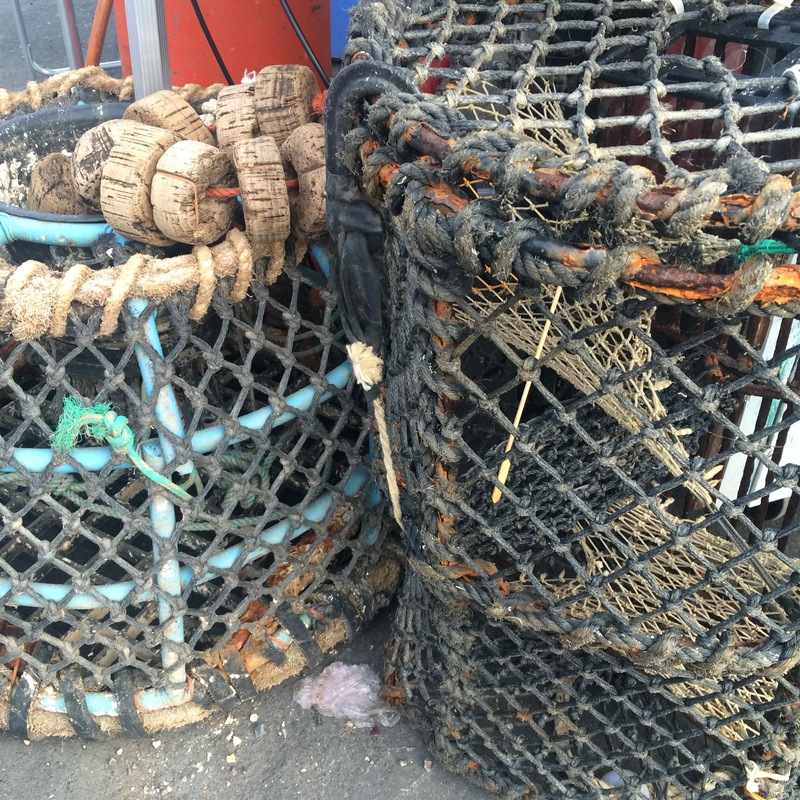 He came back from a visit to Topshams fishmonger with mussels ( yum! ) 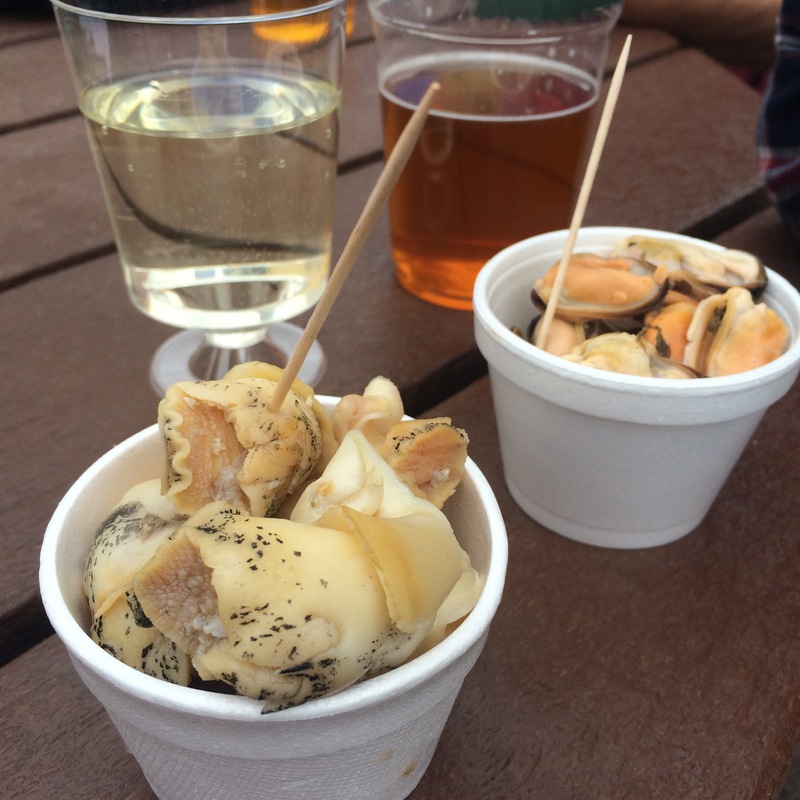 and whelks!! ( not sure! ) Whelks are sea snails and the meat from inside really does look like a snail! I braved a try as they are pretty ugly to look at but was surprised. Yes, they are a little chewy but pleasantly tasty. I guess I would say that they are like a mussel in flavour but with a slightly tougher texture. I am glad that I gave them a try because once again they were caught very near by. After our fishy nibbles It was my turn to explore the stalls. 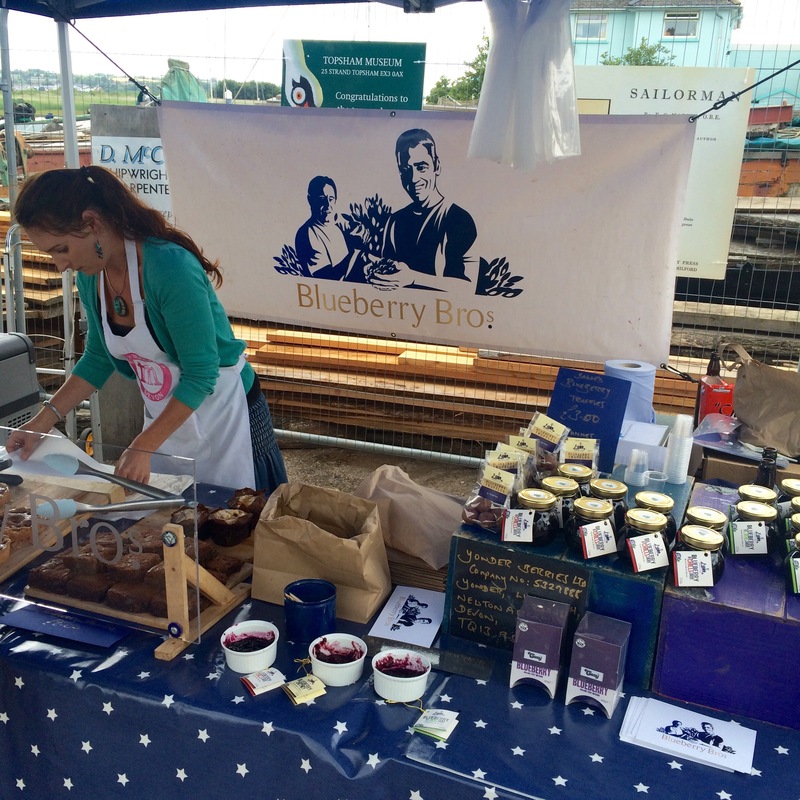 I headed for Blueberry Bros. A company run by two brothers Nick and Toby Hewison who have been growing blueberries near Lustleigh in Devon since 2002. 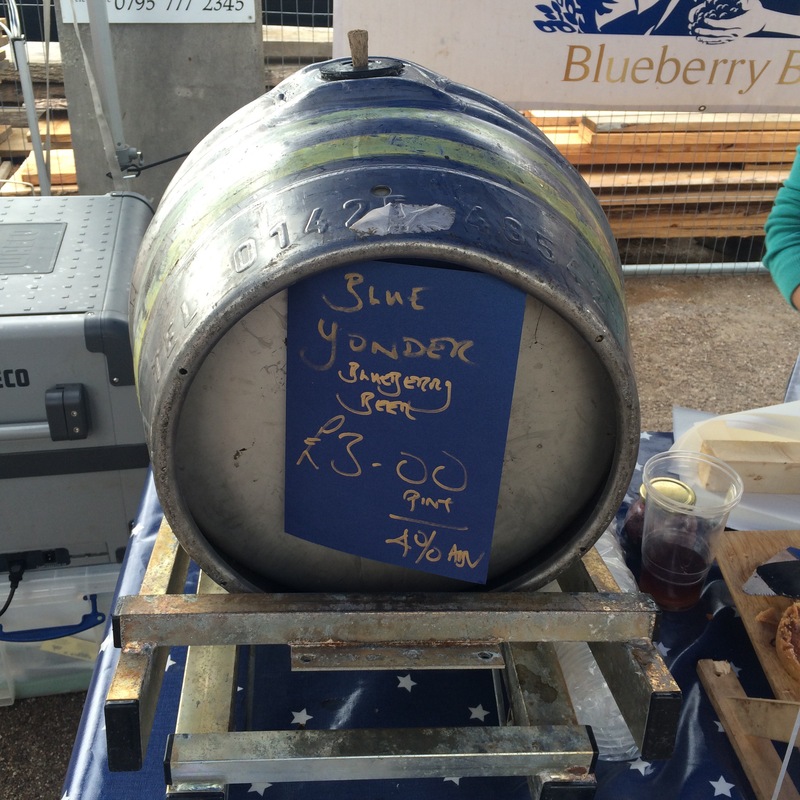 I got Steve some of their award winning Blue Yonder blueberry beer and for us to share a blueberry brownie. The brownie was one of the tastiest I have ever tried. Sometimes I find chocolate based sweet treats too rich. This brownie was moist and the chocolate flavour was just right. Not at all sickly.. I will be recommending their products to everybody and hopefully I will come across them again. 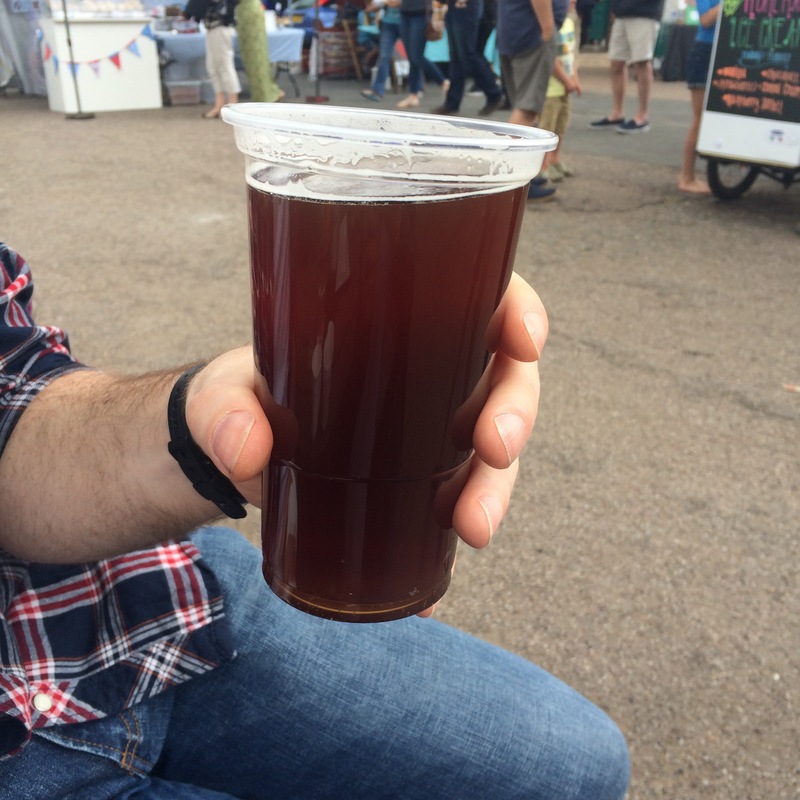 After our sweet treat I left Steve to the music and his ales to wonder around the stalls. My local coffee shop were there too! 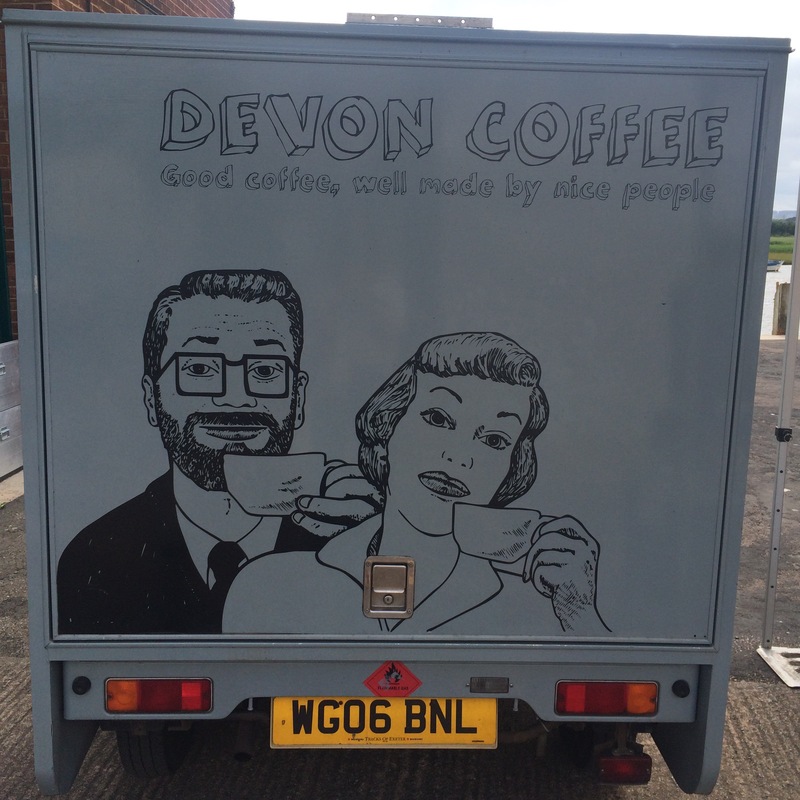 Devon Coffee….They do make a lovely coffee! 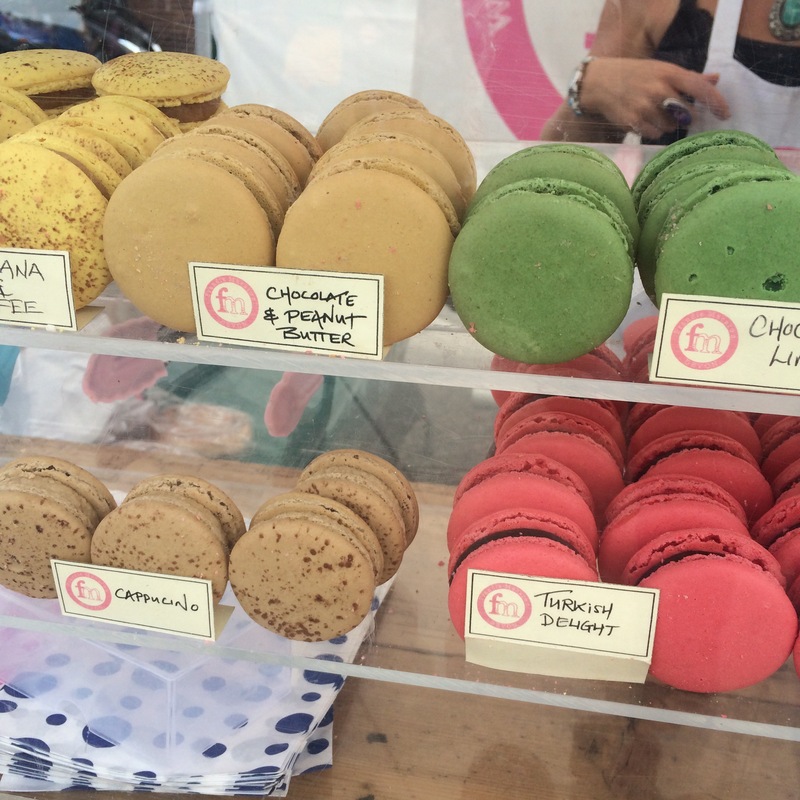 If I hadn’t have just consumed my blueberry brownie from Blueberry bros I would have definitely gone for a Frandie Macaron.. Look at the wonderful colours and flavours! Divine! 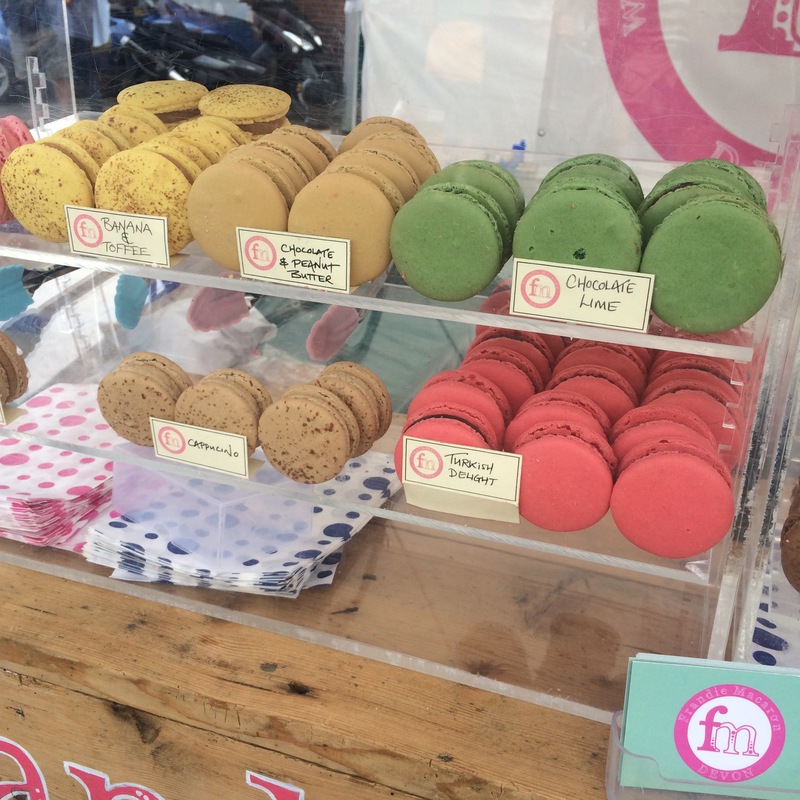 Our next treat was from Flippin Fresh. 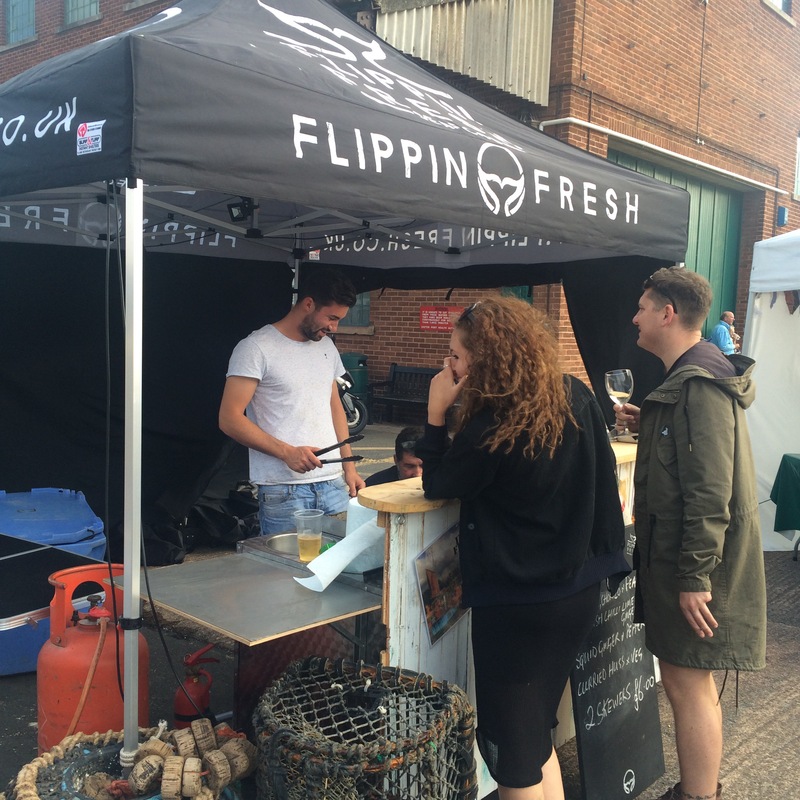 Another local guy using fish that his dad catches from a boat in Lympstone and turns them in to delightful fishy skewers and the like. 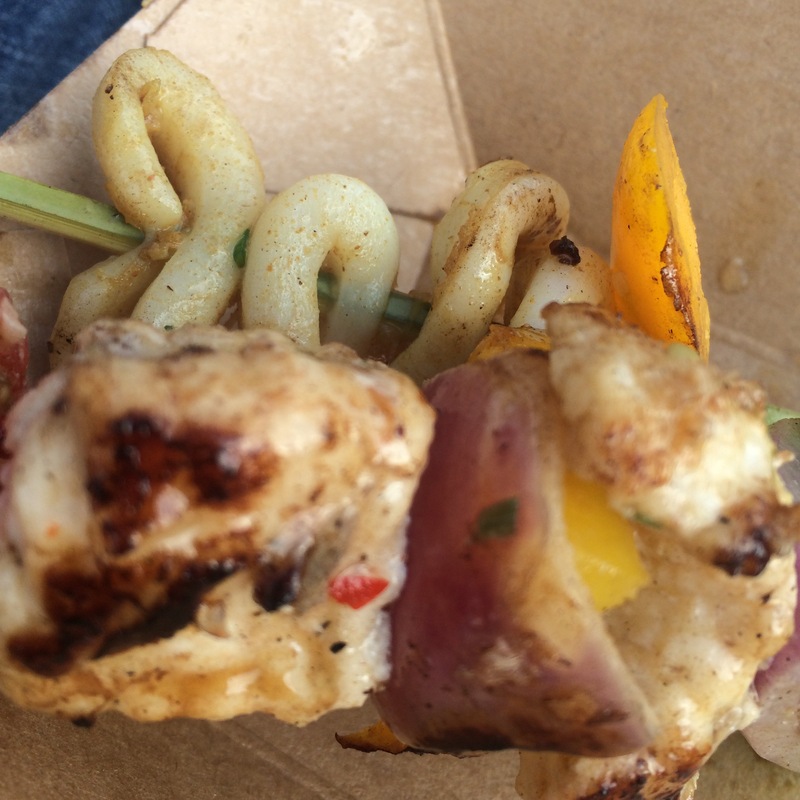 Steve and I shared a squid skewer and a monkfish skewer. Both very tasty and cooked beautifully. 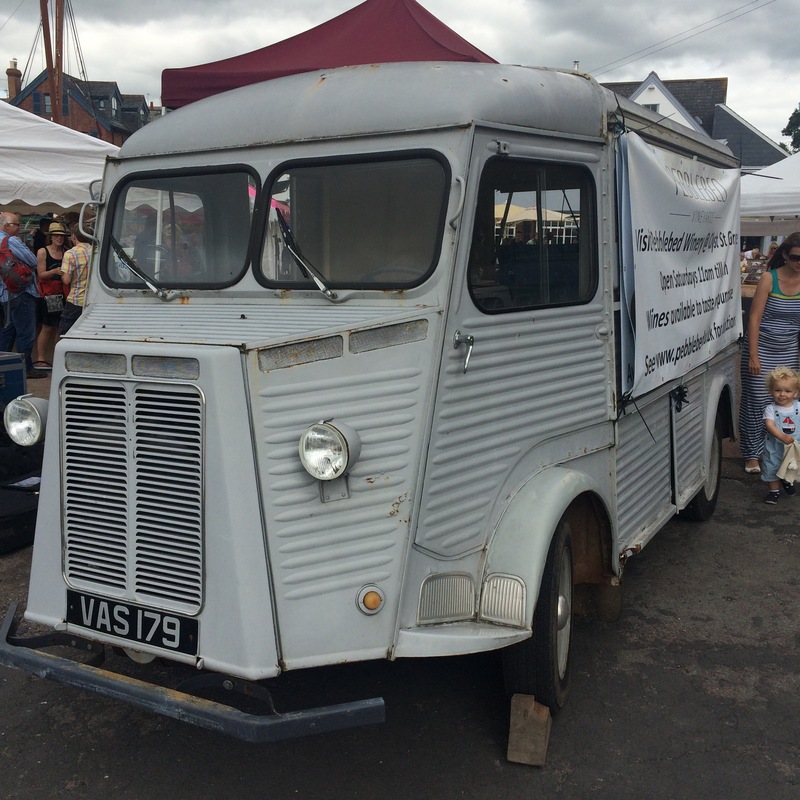 We had a lovely time at Topsham Food and Drink festival. A lot of lovely passionate people selling their gorgeous wears! What more could a foodie like me want? Roll on next year!